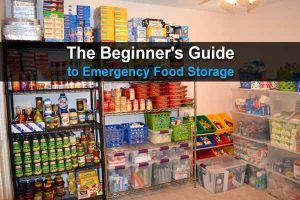 Every prepper knows that disaster could strike at any time – be it nuclear war, asteroids striking the Earth, or simply Mother Nature going haywire. Regardless of the method, we are definitely on a path towards fundamental destruction, and if we want the human race to survive in a post-apocalyptic world, we need to be prepared. Besides the usual supplies like food, water, clothing, and shelter, you’ll also need to know how to defend yourself and your family. Why is that? Well, after SHTF there will be a general state of confusion, and, according to doomsday specialists, every shred of civilization will quickly disappear from those left around. This will lead to violence and you’ll see people around turning on each other or on you. In such a grim scenario, nothing can keep you safer than a well-maintained weapon. That’s why, today I decided to talk about the three main types of weapons every prepper should own and know how to use. Why three? Because there won’t be a shortage of enemies when the world goes upside down, but there would be a shortage of ammunition and weapons. So, to make sure you’ll manage to face the first wave, keep three guns close by. Shotguns are powerful weapons and can be used against big adversaries (or zombies for that matter). Even better, they are great at taking big game down such as deer and elk. Still, the very basic use of a shotgun is home defense and warding off looters. The best part with this type of weapon is that you don’t really need to be accurate, and it shoots fast and repeatedly – the perfect combination when you’re fighting for your life and you feel both adrenaline and fear pumping through your veins. The main advantage point of a shotgun is the fact that it can shoot using different types of ammo. You can start with small-pellet ammo and move up to buckshot which is great when you have to take down a huge opponent (human or not). Of course, these are quite big weapons and the recoil they develop can be uncomfortable. Still, with a bit of practice and some adjustments, you can easily get accustomed to it. If you’re on a budget, I recommend the Mossberg 500 Shotgun in 12 or 20 Gauge. However, if you’re open to investing a bit more money, I think the Remington 870 Special Purpose Marine Magnum is a better choice. The Remington is reliable and anti-corrosive so you won’t have to waste too much time on cleaning it. Don’t underestimate the use and power of a handgun! Besides the fact that they are easy to conceal and a lot easier to carry than any shotgun or rifle, the handgun is also extremely useful in a close quarter battle situation. Still, I don’t recommend getting an automatic pistol – these can jam at the worst moment and they need special attention. If this is your first handgun, it is tempting to reach for an auto, especially if we consider all the recent action movies. However, in a survival situation, a revolver will be a lot more reliable. The revolver is safe and, in the rare case it jams a squeeze of the trigger will un-jam it. In my opinion, there is no safer pistol to use than a high-quality revolver, if you are a good shooter. Of course, to become a good shooter, you need lots of practice. Tom from goog gun is an expert in training shooters of all ages and using all kinds of guns, so I decided to ask him how long it takes to become good with a revolver. According to him, you need at least a few months of daily practice continued by a few more months of constant weekly rounds. But you shouldn’t just lie down and wait for the apocalypse once you’re good, you need to keep your reflexes sharp, so continue practicing as often as you can. For an SHTF scenario, I recommend getting either a .357 Magnum with 125-grain hollowpoints or a six-inch barreled .38 (or both). Also known as a combat rifle, this weapon should be in your arsenal for hunting and self-defense. It’s a backup for the shotgun, if you will. Many, when they hear about combat rifles, think about assault models, but I am not such a big fan. The so-called assault rifles are difficult to maintain and they do jam a lot if you don’t know how to use them. So, if you’re not an experienced shooter, I recommend a lever action rifle like the Marlin Model 336. This type of rifle shoots fast, comes with lots of magazine capacity, and has an amazing trigger action that even a beginner can master. It is also accurate, it’s not picky on ammunition, and you can use it to shoot anything from small to big game. Still, if you’re new, you should choose a rifle that fits your needs. While the model recommended is lightweight and handy, it may not be the best for you. In my opinion, every prepper who owns these three types of guns should do just fine when it comes to hunting and self-defense. Of course, you also have to know how to use them, so make sure to practice as often as possible. It was really funny reading this. At times it was a lot like you had peaked in my gun safe. 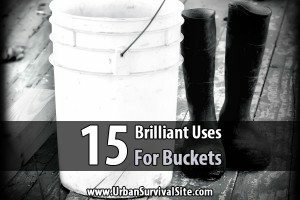 I am a 65-year-old survivalist that has been active and into this for my entire life. My Dad called it being self-sufficient and prepared. I have been an FFL legal gun dealer and gunsmith and worked for a range as range master. When I was younger I went the way of the assault weapons and such.I owned them, I’ve maintained them and built them. The AR platform has improved a lot since it was first introduced and is now basically a very dependable weapon. the AK is extremely variable in its quality but if you pay for a good, well-made, one it is dependable and actually a superior weapon than the AR/M-16 based weapons. The thing is that most people don’t understand and won’t understand is that the AR with the 5.56 round is an assault weapon designed for the jungles of Vietnam based on things they learned in the islands of the Pacific in WW2 where you don’t always have a clear or long range sight picture. It has not been nearly as successful in the Middle East and the military is about to once again pick a new primary weapon. What I learned is that an assault weapon is not really a great DEFENSIVE weapon. the 5.56 isn’t designed as a stopper as much as a weapon that creates injuries. This is Intentional! You win wars by causing more injuries that have to be taken care of than by deaths. I don’t want and will not be out assaulting people and attacking people. I will be in a defensive posture and that is best done with more powerful rounds and done at longer distances. I will take a deer rifle and shoot at distances of 300 or more yards or a shotgun if near over an assault weapon. It doesn’t matter how many pieces of lead you put in the air. what counts is how many you place in the body or heads of your enemies. I have found that the draw of a big full magazine yo a person without a lot of training is counterproductive. I will shoot you twice in the chest and once in the head while a lot of people spray and pray. When for example you have a revolver instead of an automatic with 15 rounds or more. You tend to aim. The more powerful rounds that you can fire from a revolver also means that a body hit has more effect. Your choices are spot on for a person without military training that wants to be prepared but doesn’t have a lot of money to put into it. All of the weapons you mention are good hunting weapons and dependable. The only thing that I would add is a Ruger 10-22. It can cover a lot of needs and the ammo will let a novice shooter shoot a lot and be more accurate even with their other weapons. It is a good training weapon, hunting weapon and with big magazines allows you to put a lot of lead in the air if you need to keep someone pinned down. I wont lie, I did not read every comment above fully so if I hit the subject again I apologize. The lever action is a great reliable gun but is also one of the most complex actions you could choose. If you did have issues it could be a nightmare. I have 3 lever guns myself and love them, but it wouldnt be even near the top of my bug out list. Oh come on, some of you guys, the info isn’t all that bad! It is designed for people who don’t know a lot and probably its’ biggest fault is not enough explanation. The shotgun, not have to aim or whatever, well it seems to be, while not absolutely true, if you’re off an inch with a solid bullet, at 20 yards, you might well hit with a shotgun, the “‘500; and Rem, whatever’ isn’t really worth the comment, opinion. The pistols, yes, autoloaders generally are reliable, what Vicki didn’t say was, “in the event of a malfunction” (misfire, ‘stovepipe’, et al) you have to use your other hand to clear your weapon, with a revolver, just pull the trigger again (no ‘stovepiping’ by the way) in the proverbial WTHSHTF, or whatever, who knows what kind of ammo you might have to use! Re: .357, yes, a handful for an inexperienced shooter, she might have explained using .38 specials for practice, and great thing about a revolver in .38/.357 is the fantastic variety of ammo available. I’ve been in the military, law enforcement, taught survival classes, and I carry a revolver, Ruger SP 101, 21/2 inch bbl (hard to beat a Ruger in my book), with speed loaders. Great little gun, I don’t plan on ‘spraying the neighborhood’, so resorting to speed loaders instead of a mag for an auto loader doesn’t seem unreasonable to me. “Combat rifle”, I thing she refers to this in terms of having a larger caliber/cartridge, and EVERYBODY will have their own opinion on this, yahoo! Doesn’t mean she says in entirely out of line, a good lever gun can be fired pretty fast (anyone ever watch “The Rifleman? lol) So help with suggestions, and cool it with the “gee I’m so experienced and wonderful, you don’t know what the h*ll you’re talking about” rhetoric! 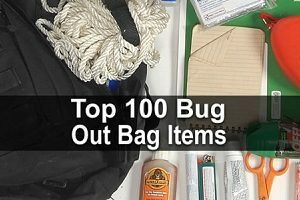 This blog is just about the worst overall “advice” I’ve ever read. It’s amateurish, likely the musings of a wannabe collector who is trying to justify their own bad mistakes and looking for praise as a serious practioner. It’s impractical. What is recommended here is extremely unsound in its presumptions and recommendations, more than likely the result of playing video games than having the tiniest amount of operational experience. Depending upon any of the information written in this blog will get you likely result in being killed. The lack of wisdom that comes from having years of training and operational experience is quite apparent. For every recommendation that is marginally useful, there are dozens of examples of what Carl Sagan termed as “the dreams of the provincial schoolteacher” — postulated recommendations that ignore decades of (1) military research, testing, and experience; (2) law enforcement research, testing, and the field experience of thousands of armed professionals; (3) manufacturer research, testing both in the laboratory and field, and proving trials of hundreds of years; and (4) practical military and professional experience of millions of those serving in military services and/or law enforcement. Your best interests are not served in this blog site. Not in the least. This blog is written in hopes that the reader is ignorant and not capable of critical thinking in the slightest: think for yourself before heeding any advice you find in this blog. I agree. This guy sounds like a complete moron. I didn’t know ‘Vicki’ was guys name. Good choices you though it through. If you are a solo prepper stainless steel guns will serve you well if you plan on bugging out. If you plan on staying put or prepping in a community then the ar-15 military rifles will make a good choice. If you are bugging out alone or in a small group you will not have the resources to maintain a rifle like the ar-15. Stainless Revolvers, boltactions rifles, and shotguns make great guns for the solo survivalist bugging out. If you’ve ever hiked long distance you will know how rust can build quickly over semi auto pistols and ar-15 like rifles. I’m talking several months at a time in all kinds of weather. Rifles and revolver should be the first guns you get. The shotgun is great but the ammo weighs too much and is too big to be able to carry much unless you have a car or a horse to carry more supplies. I like the Ruger Revolver more than Smith and Wesson. The stainless Ruger gp-100 4-6 inches make a great all around gun. With the .357 Revolver you can also fire .38 specials. 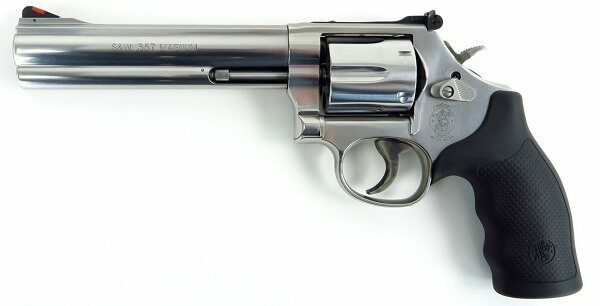 The .357 Revolver can be used for self defense and for hunting and for training people unfamiliar with guns. Smith and Wesson have are made with a little bit better steel but the Ruger revolvers are better designed. It is a lot easier to field strip a Ruger for cleaning than a Smith and Wesson. Rugers also just have more weight to better absorb the recoil of the powerful .357 round. Vicki, Have you ever fired any of the weapons that you wrote about in your article? I don’t know any responsible firearms owner who would say that “you don’t really need to be accurate” with a shotgun. You failed to mention barrel length (which can range from 18.5″ to 28″, and spread patterns at various distances from the target. If you are confronted by an armed looter at 20 feet inside your home, you had damned well better be “accurate.” By the way, your recommended Remington 870 Marine costs nearly twice as much as a Mossberg 500 ($841 vs. $485 MSRP). You validate the selection of the Remington 870 Marine by stating that you “don’t have to waste time cleaning it.” Assuming that you actually own one, I suggest that you forego the cleaning/maintenance process. Your suggestion that semi-auto handguns are unreliable is laughable. If that was true, the U.S. Army and Marines would still be carrying six-shooters. Your suggestion that an inexperienced person should start out with a .357 magnum revolver ignores that fact that some people simply can’t handle the recoil of this powerful firearm. If someone is reluctant to use a semi-auto, there are other revolver calibers (such as 9mm) that still provide adequate protection with far less recoil. I do not know anyone that would characterize a tube fed, lever action carbine as a “combat rifle” and I doubt that you will find any of these guns even in the most primitive army or militia on earth. Your recommended choice of the Marlin 336 has a capacity of only six rounds plus one in the chamber. Thanks, but in a SHTF defensive situation, I’ll take by AR platform with 30 round magazines every day of the week. On the whole, yours is one of the most ill-informed articles I’ve ever read. Thankfully, there are many other web sites that prospective gun owners can access for authoritative information. I strongly urge them to do so. My only problem is lever action rifle they r not as reliable as my old nagant plus your idea of expensive firearms.that rifle is a ton. It’s good to finally hear someone talk about the best possible guns to own . I’m a Ruger girl, a 22LRC, a38 snub nose, a 357 snub nose a 6 shot 357 4″ barrell. I also inherited from my . husband a .410 over/under 22 cal. and a 380 Walther PP. As a county deputy from 1977 to 1994, I carried my Rugers and qualified with them regularly. The boys with their Glocks and other semi autos, after they shot their legs at least once, carried their “big boy guns”. I carried my Rugers into a new career; Probation & Parole officer for the state. There is no handgun as reliable as a revolver and that is what I recommend to all new shooters and expecially women. Love my Rugers but recently bought an S&W with “laser trace” on it. Now that is a fantastic add on for a revolver. I personally believe that the Ruger offers a lot of quality and reliability for the money spent. There are many other brands that offer the same, but it is difficult to match the bang for your buck when buying a Ruger. You are one smart lady, Jan! Some good observations and examples Jan! I agree with you SpeedBump. The 22 is also very quiet and a potato makes it so quiet that they do not “know where it is coming from”. With a good scope it is eyeball after eyeball. It is also light and 2 thousand rounds weigh nothing. I have all the other guns but the 22 is my true survival gun. I became convinced when I saw Eskimos kill a polar bear with one. You who wrote this are so wrong about what type of firearm to use,a ak 7.62×39 is a great rifle we found one in nam that was under a dead VC and his body was decaying on top of it,we rolled the body over picked up the AK and shook off the magots and it fired,and fired the whole clip with out a misfire. And i would depend on an ar15 (charley matel) before a lever action rifle. You have deffently not been in a combat scenario. Good luck with your plan, for i know from experience. “Gray Dog” NSWC !!!!!!! You are making a lot of generalizations here, but for the most part, the info is informative. There is no such thing as right or wrong in a survival situation, all the guns you listed are workable, but in my opinion, you failed to mention what will perhaps be the most useful firearm to the average “Non Gunny” American. The lowly and underestimated .22RF rifle. 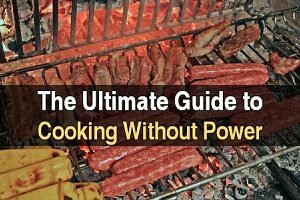 Properly utilized, it too can take down the big game you mentioned, as well as provide a reasonable amount of protection that all the family members can employ, including small children. Ammo for this wonderful arm is inexpensive, and light weight for foot travel if one finds themselves needing to bug out. A family of four could very easily be armed with a .22, and have several thousand rounds of life saving ammunition among the group ready at their disposal. Not only that, nothing in a post collapsed world (except for food, water, medicine, alchool, and recreational drugs) will be more attractive for barter and trade, than .22RF ammo. 1996, that the lady of the house forgot she purchased, is a lonely and long forgotten .22 that has not seen the light of day since last used by Grandpaw to dispatch wild dogs raiding the hen house, way back on the family farm before the current family was residing there was even born. This is the rifle you need to consider! I couldn’t agree with SpeedBump more. I too, am an advocate of the 22 rim fire for all the same reasons that he mentioned. I have been firing 22’s for nearly 60 years, and although I have a sundry of other caliber weapons, the 22 will always be my favorite. I currently own three quality pistols and two rifles in that bore size, and will probably buy more when one strikes my fancy. My biggest challenge is which one to take when I go out to the range. So I usually take them all and shoot each one of them numerous times. But the one that brings the biggest smile to my face is my Henry survival rifle (called an AR-7, I believe) that easily comes apart, and all the components fit neatly within its stock including two loaded magazines. There is no need for expensive optics or electronic sighting devices, as it is highly accurate with the factory “iron” sights. Plus it is light weight, easy to carry (or conceal), and is trouble free. How many rounds can you fire for ten bucks to punch holes in paper targets?